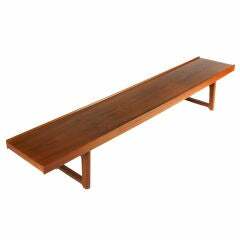 Sorry, Green Hand-Painted Plank Settle Bench by Sue Skeen for the New Craftsmen is not currently available. 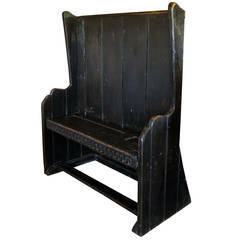 Tall backed, hand-carved seat with apron. Original painted Austrian primitive settle, 1820 Measure: Seat height 20" Dimensions 79 inches (201 cms) wide 11.5 inches (29 cms) deep 33.5 inches (85 cms) high. Original painted Austrian Primitive settle, 1820 Seat height 19" Dimensions: 62 inches (157 cms) wide 14 inches (36 cms) deep 33.5 inches (85 cms) high. Painted oak high back settle having a upholstered seat which has been reupholstered in leather.